This stunning Hindu ceremony saw a beautiful couple come together in a celebration of love, culture and tradition. The wedding mandap featured a fresh floral peacock made of thousands of fresh orchids, carefully constructed by Events by Nadia. This regal setting also included centrepieces specially imported from Sri Lanka as well as vibrant place settings of foliage and gold elephant place card holders. 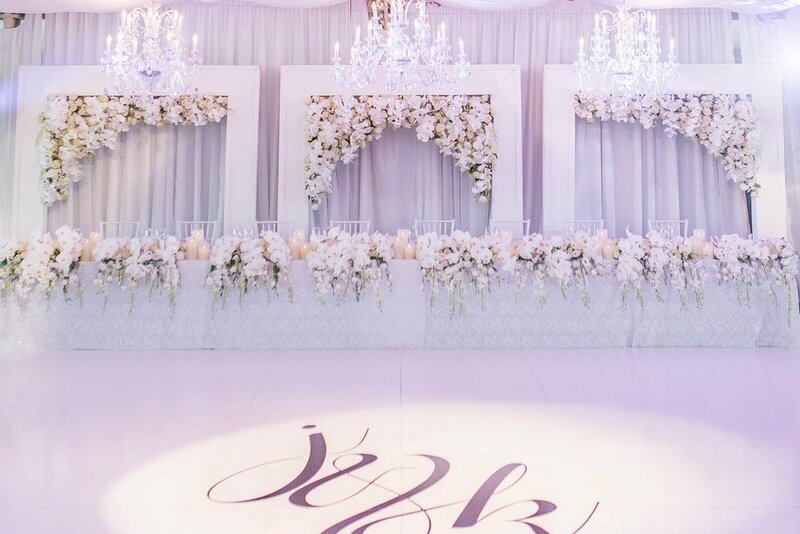 All the floral elements were meticulously designed by Events by Nadia, and the production and event design was a collaborative effort between Events by Nadia, Sai Ragunathan and Decor-A-Shaan to make this wedding one to remember! The wedding was hosted at The Hyatt Regency, Sydney.